The candidates taking up PG CLAT exams need to be cheerful now, as four Public Sector Units (PSUs) will recruit candidates on the basis of CLAT scores. 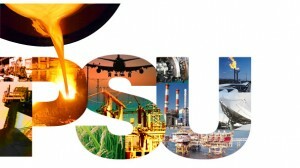 The PSUs that will hire candidates based on the entrance exam score (CLAT) are Indian Oil Corporation Limited, National Thermal Power Corporation Limited, Oil and Natural Gas Corporation, and Power Grid Corporation of India Limited. The CLAT 2016 is scheduled to be held on May 8, 2016. The examination will be held by the Rajiv Gandhi National University of Law (RGNUL) Patiala. This year, there has been increase in the number of seats from 2220 to 2252 seats in 16 national law universities.